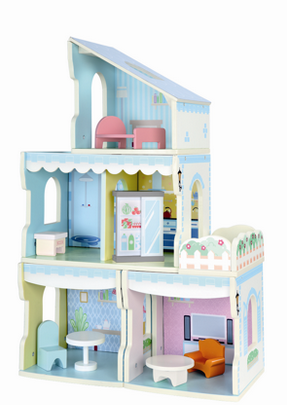 This adorable Interchangeable Dollhouse is currently 50% off at Walmart, making it only $24.78!!! I love that you can change the layout of the house, giving your child so many ways to use their imagination and creativity. The other great thing about it is it isn't screaming with hot pink and purple! The muted colors and fun wood furniture give it such a cute look! We are unsure how long this deal will last, so get it before the price jumps back up to $50!